This event is the newest property of All-American Games (AAG), the owner and producer of the U.S. Army All-American Bowl on NBC, the nation’s biggest high school all-star football game. The Bowl has featured the nation’s top preps such as Tim Tebow, Adrian Peterson, Mark Sanchez and other NFL stars for 13 years. All-American Games elite properties also include the Eastbay Youth All-American Bowl that has annually featured the nation’s top youth athletes and Football University, the country’s most elite training camp that trains the nation’s top 6th through 12th grade football players. Both the U.S. Army All-American Bowl and the Eastbay Youth All-American Bowl are played in San Antonio’s Alamodome during early January. For several years, these all-star games have highlighted the country’s biggest weekend in youth and prep football. Now, Football University will add an 8th grade National Championship, a 7th grade National Championship, and a 6th grade Regional Championship featuring the best youth athletes selected from the best youth leagues and top youth programs from around the region and around the country. Welcome to the Youth National Championships! AAG believes that the nation’s top football athletes have the right to compete against other top talent of the same caliber! Most top football athletes never get tested on a consistent basis. AAG built the U.S. Army All-American Bowl to allow the nation’s top high school football players to compete against one another. AAG created Football University’s 64 State National Championship and Regional Championship to allow the nation’s top 8th graders, top 7th graders and top 6th graders the same opportunity! 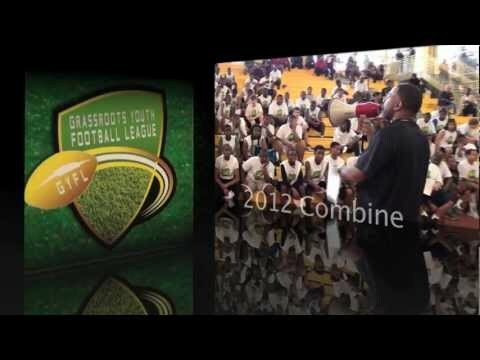 These opportunities prepare top athletes for the rest of their football careers and lives. The amount of opportunity is unlimited! How will you handle the opportunity that lies ahead? All participating 8th graders cannot turn age 15 before September 1, 2012. Participating and 7th graders cannot turn age 14 before September 1, 2012. Participating 6th graders cannot turn 13 before September 1, 2012. For the 8th and 7th graders this is a single elimination, all-star tournament. For the 6th graders this is a two round regional all-star tournament where all participating athletes are guaranteed two games. Our coaches have the right to select starters and manage each players playing time. Each one of our players is guaranteed a minimum of 8 plays per game. Once the 6th grade tournament is over 5 players will have the opportunity to be selected by the 7th grade head coach for the 7th grade state team and join the 7th grade team if that team advances to round 3, 4, and 5 (the National Championship round in San Antonio, Texas). After the 3rd round the bracket will be adjusted so that states will match up with one another so there is less traveling involved. The registration fee will be $125 for each 6th grader. The registration fee will be $135 for each 7th grader, and $135 for each 8th grader. This will include one game jersey for both teams and for both organizations participating we will include 2 tickets per player for families and friends to attend these events!